It’s time! 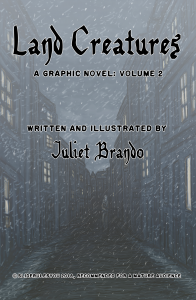 The second comic in the Land Creatures series launches today. You can buy all Land Creatures comics here. Also, if you’re in the Hastings area, come to Wow and Flutter between 6-8pm for live music, DJing, drinks and all the second hand vinyl and comic books you can buy! This entry was posted in Uncategorised by slide. Bookmark the permalink.